Are you thinking about taking out a no cost refinancing loan to help you secure a mortgage? Here’s what you need to know about this type of refinancing. What Is No Cost Refinancing? For refinancing a mortgage, the current loan is paid off through a new loan with lower interest rates. This gives you the opportunity to benefit from lower monthly payments and less interest, meaning that you can save money from the process. Sounds good, right? It can be, but you need to make sure that it really will be the right option for you before you dive in. Take some time to look at the pros and cons to decide if it’s what you need. No upfront costs. You don’t have to pay upfront for this type of loan, which can be very appealing if you’re trying to get a foot on the housing ladder or don’t have a lot of money at your disposal. The usual closing costs are usually paid by the lender in most cases whereas a no cash loan means that the upfront costs are added to the loan balance rather than being settled by your lender. This is very attractive for those who literally don’t have the money but don’t want to have to wait to take out a mortgage. Bear in mind that some closing costs won’t necessarily be covered by your lender, such as Escrow fees or prepayment charges on a previous mortgage so if those apply to you, you’ll still have to foot these costs yourself. Make sure that it really is no cost. It sounds obvious but as mentioned in the previous paragraph, you could easily get confused between no cost and no cash loans. As has been highlighted, no cost means that your closing costs are paid for you but this isn’t the case for no cash loans, and you can expect to have them added to the overall loan balance. This usually means that you ultimately pay a lot more than the original loan so you’ll want to make sure that you’re definitely going down the no cost route. Higher interest. The lack of upfront fees can make a no cost mortgage loan look more appealing than it actually is. Because the upfront costs are taken care of by the lender rather than being paid by the borrower, you can expect to pay higher interest rates as a compromise. Advantage is short term. To get the most out of a no cost loan, you need to be in a position to pay off the balance in a relatively short time period so that you’re not still paying it off beyond the break-even point. If you can do this, the amount that you’ll save from the closing costs will be more than you’ll pay in interest, putting you in a good position overall. If you can’t do this, there’s a good chance that what you’ll initially save will be canceled out by the higher interest rates and you won’t actually get the good deal that you were anticipating. A no cost refinancing loan can be a great idea to help you arrange a mortgage but only if the circumstances are right. You can save money if you’re able to pay off the loan before you reach the break-even point as the higher interest rates won’t have as much impact, but it’s not such a good option if you’d need to spread the repayments out over a considerable amount of time as the interest will soon cancel out anything saved on the closing costs. Think carefully before you jump into arranging a no cost loan and take your time deciding whether it’s really the best option for your scenario. Have you ever used no cost refinancing? What was your experience? Nice post – home owners should always think long term. I like your point that it can be beneficial if you pay off the mortgage quickly. @20’s finances. Yes it can be beneficial to pay off your mortgage quickly, but this depends on where you live and your financial situation. Where I live in Canada the interest we pay on our mortgage is not tax deductible so it makes it a lot harder for us to pay it off. You have to find the balance between saving for emergencies, saving for things you need, and paying off the house. It is always a work in progress. If you had locked-in at a higher rate, now would be a good time to refinance! The rates are absolutely ridiculous! @MoneyCone. Isn’t it funny how things work out. When you want to invest you want higher rates but when you need to borrow you want lower. You can never satisfy both at the same time. I agree with you that rates are really good right now and have been for a while. When we did our mortgage a couple years ago we got an awesome rate. It will be tough to get that again I’m sure so people should take advantage of it now if they can; we would if we could. We refinanced with the cost rolled in before. It was good that we didn’t have to shell out $3000 from our pocket. With the lower payment, we can afford to pay a bit extra every month. Overall it is still good to refinance if the rate drops at least 1%. @RB40. I agree. A drop of 1% or more makes a refinance worth it. However, these drops don’t happen too often so we need to be on the lookout. In Canada, our rates have been pretty steady for over a year. @Agreed. Things always seem easier said than done. The important thing to do is to make sure you evaluate your own situation very carefully before you make any decisions when it comes to refinancing. Great overview — I definitely agree that a no cost mortgage almost always means a higher interest rate! @Christa. Yes it does unfortunately. I am not a home owner, but do feel that this’s the right time to refinance mortgage. Probably the low rates will stay for couple more years. I think my initial rate would be lowest during my repayment tenure. @SB. Yes, now is a good time to buy and finance since rates are so low. They haven’t been this low in decades. It is a great way to get ahead in paying off a mortgage if you can do it. Very important recommendation, to consider the break even point. 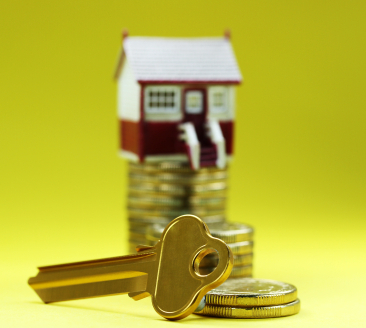 It is important to clearly evaluate all of the advantages and disadvantages of the refi. @Barb. Agreed. Far to many people don’t bother looking at the pros and cons. They just jump in and then they suffer for it. Great advice. Know all you can know about something before deciding on it.